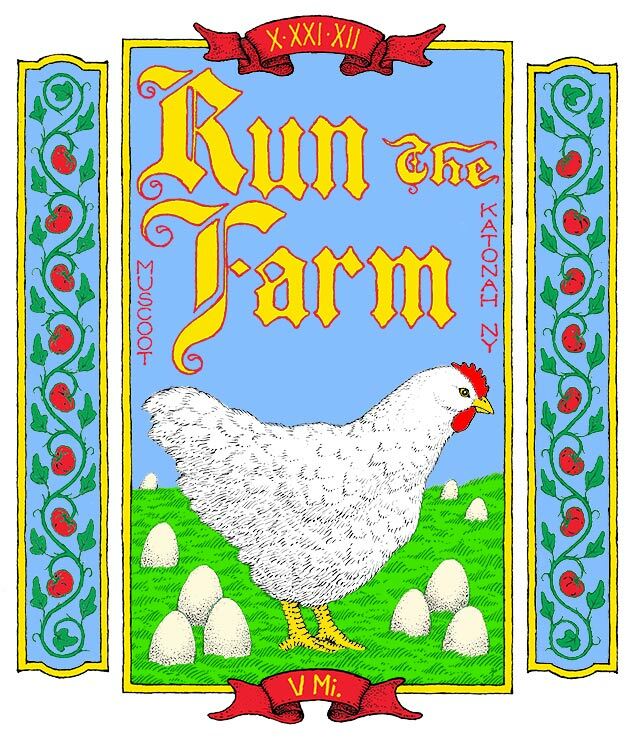 The 2012 Run the Farm shirt, designed by Tim Parshall is below. Tim has designed all of the Run The Farm shirts as well as 20 of the 26 Leatherman’s Loop shirts. Tim will be there on Sunday so say hi if you see him!